Introduction – what is User Experience Design? How does User Experience Design relate to me? Why do I enjoy working in User Experience Design? What are my future plans for User Experience Design? User Experience Design, or UXD for short, is described in its Wikipedia entry as “the process of enhancing user satisfaction with a product by improving the usability, accessibility, and pleasure provided in the interaction with the product”. Whilst this is a sufficient summary to explain UXD in a brief way, I wanted to take the chance to explain more about User Experience Design, how I view it, how it works for me, and what how I feel it can be beneficial, not just to me, but for companies that put the user at the centre of what they do. Again, somewhat oversimplifying the case, but I find it a useful “elevator pitch”, covering the main elements of what I do. User Experience Design is, essentially, a method of ensuring that, at every stage of producing a product or service, you are attuned to the requirements of those who will use it. This process allows you to ensure that you build the right thing for your customers, and thereby build something that your customers will want to buy. User Experience Design also combines with other methodologies, such as Agile and Lean, to ensure that production processes can iteratively improve what they are building, which, in turn, ensures that user requirements are kept at the centre of production decisions. This leads to the build > measure > learn method, as shown below, which exemplifies a user-centred production process. By having this process of continual building and testing, even beyond the point of launching the product, companies can be sure that their product continues to address user requirements, and therefore will be a desirable product upon launch. It is worth noting here, that this process can be applied in a range of different ways. Not only can you use this to produce a tangible product, such as software, but also for services, and even for evaluating and revising the production processes themselves. You can see more on this in my management processes case study. For a synopsis on my professional experience, read my introduction post. I’ve been a User Experience Designer for some time, having previously worked as a Graphic and User Interface Designer, and a Front End Developer. I feel that this experience in these two previous fields give me a good understanding of production processes, and the requirements of the teams carrying them out. I have worked on a series of projects and products, which have helped me to refine my processes, and help other UX Designers in improving theirs. In my last role, I was in charge of hiring and supporting a team of UX Designers in our office in Pune, India, as well as supporting the whole of the UX Design department in our London, Berlin and New York offices. I not only helped our Indian UX Designers with their projects, but also helped to devise and implement ways of supporting the whole department, including measuring capability and examining areas of improvement, providing advice and ensuring a high level of expertise across the department. Aside from everything stated above, I have found the main motivations behind why I’m a User Experience Designer can be summed up in two words: creativity and systems. I’ve always enjoyed finding creative solutions to a problem. I’ve always been curious, wanting to know how things work, and enjoying using what I find to solve problems. It’s the process of understanding needs and requirements, and turning them into something that delights people who use the things I build. Systems also fascinate me. Once more, finding out how something works, and coming up with ways in which I can improve that method, are things which greatly interest me, be it a product, service or the way in which groups of people work together. An ideal system for me is something that works effortlessly, with the maximum amount of effect, improving the lives of those that use them. 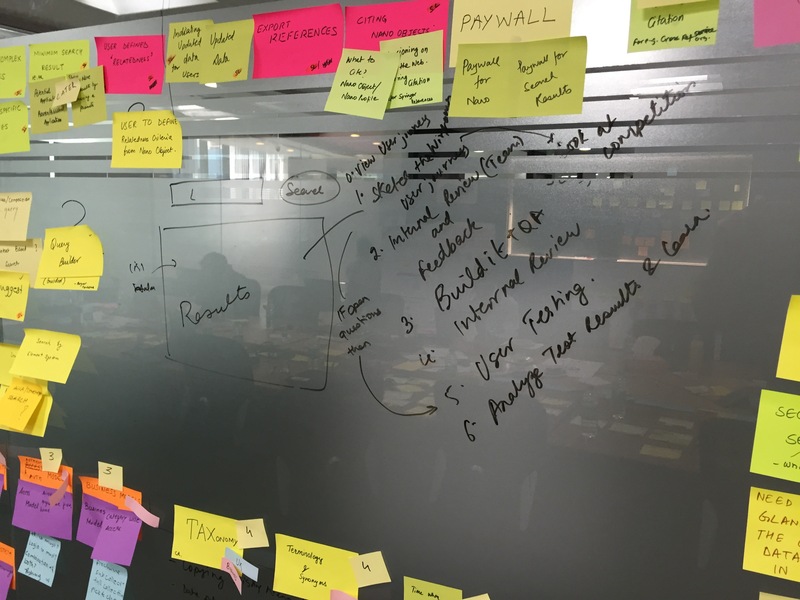 Having made it to the level of User Experience Lead, I want to help other companies discover how having a user centred process to the way they approach problems can benefit them. I feel that there is much that can be done to improve the way that companies, organisations, governments and institutions approach problems, and I feel that my knowledge and experience can help them to realise this. This page has been something of a summary of the depth of my experience with UX Design, and there is much more than can be covered, including Using the Kano model to derive base user expectations against delighters, to evaluating design departments to ensure that they have a good understanding of all the requirements of UX Design. If you’re such a company, who are interested in the ways in which I can help you, why not get in touch?